Provide comfort for the family of Rebecca Richards with a meaningful gesture of sympathy. Rebecca Richards, 88, of Clarksburg, WV, passed away on Thursday, March 28, 2019 at River Oaks. She was born in Clarksburg on December 14, 1930, a daughter of the late Cecil Ray and Lois Ankrom Lynch. In addition to her parents Rebecca was preceded in death by her first husband Dorsey Jeffries on September 27, 1953 and her second husband Elmer Richards on February 20, 1982; six siblings: Charles Lynch, John Lynch, Joan Burrows, Mark Lynch, Lois Elizabeth “Libby” Smith, and Eleanor Thompson; and one great-granddaughter Clarissa Weaver. Rebecca is survived by her six children: Rebecca Oldaker (Roger) of Brushy Fork, Steven Jeffries (Brenda) of Weston, Lois Bailey (Jimi) of Laurel Park, Melissa Garman (Michael) Easton, MD, Cecil Richards of Clarksburg, and Michael Richards (Susan) of Clarksburg; eleven grandchildren: Roger Oldaker (Michelle), Christine Oldaker, T’zouri Oliver (Kato), Jamel Bailey, Danielle Riley (Luke), Alisha Bailey, Sam Ventura (Renee), Nicole Paugh (Mark), Chrissy Richards, Sabrina Richards, and Riley Richards; 15 great-grandchildren; and three great-great grandchildren. Also surviving are many nieces, nephews, cousins, and friends. Rebecca’s wishes for cremation will be honored and a Celebration of Life will be held at Davis-Weaver Funeral Home 329 E. Main Street Clarksburg, WV, on Saturday, April 6, 2019 from 1pm until 2pm at which time a memorial service will begin. Online condolences, www.davisweaverfuneralhome.com The Davis-Weaver Funeral Home is honored to serve the Jeffries-Richards Family during this time. To send flowers in memory of Rebecca Richards, please visit our Heartfelt Sympathies Store. Nancy Jean, Fred and family, Lost Creek Elementary, and others have sent flowers to the family of Rebecca Richards. A beautiful lady she was, and in heaven even more so as she kneels in His Presence. From your family in Texas. Nancy Jean, Fred and family purchased flowers for the family of Rebecca Richards. Lost Creek Elementary purchased flowers for the family of Rebecca Richards. Charlene Burrows and family purchased flowers for the family of Rebecca Richards. Jo Ellen Lynch Anderson purchased flowers for the family of Rebecca Richards. 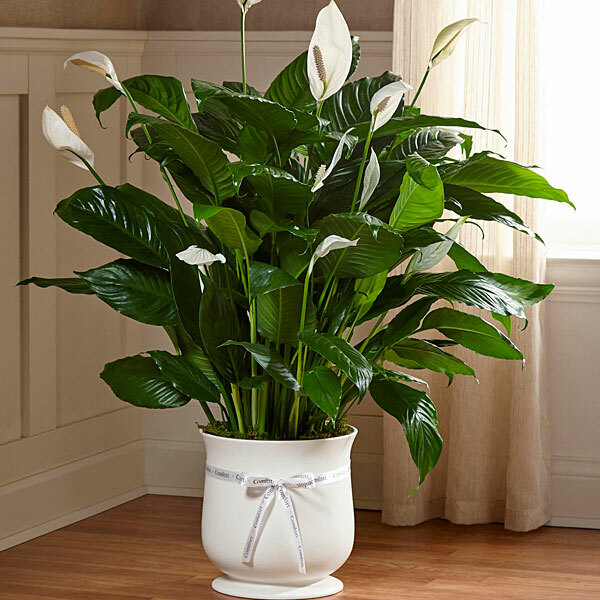 Heartfelt Sympathies Store purchased the The FTD Comfort Planter for the family of Rebecca Richards.